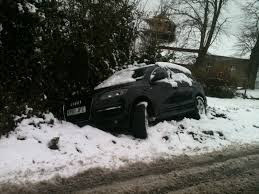 I’ve been interpreting a “dream” about a car crash on an icy road. However, this isn’t a dream in the traditional sense. This was an experience that the dreamer had during the day while she was wide awake. I call this type of experience a waking dream. If you’re just joining, you may want to take a peek at my last couple of posts to more easily follow the discussion. There is a part of me that I use to get around from one place inside myself to another. I used to love the work I was doing on myself, but it’s turned into a kind of nightmare. There is a danger in me that I didn’t see which could be deadly for me. I’m out of control and it’s really scary! I’ve damaged the part of me that gets me around inside myself. I can’t use it anymore and it’s a really shocking experience. I’m stuck and can’t move. But I’m kind of surprised to see that I can just get out and walk away. The dreamer was astonished at the relevance and specific advice that this waking dream offered—even though this was an experience that occurred while she was awake; this was not a traditional dream. There were other images in this waking dream that warranted her attention as well. I asked her to pay special attention to the warning messages in the middle of the interpretation, the ones about “danger in me,” “deadly in me,” “out of control” and “damaged the part of me that gets me around inside myself.” These warnings seemed almost dire in nature. I asked her if she could relate to any of this. At first she had trouble making a connection, but then she began talking about her life goals, especially as they related to her career. She explained how she had put her own ideas on hold in order to be a team player. Suddenly the dream’s warnings made sense to her: She was sacrificing her own creativity for the sake of peacekeeping in a contentious work environment. There was something in her that was dying as a result. It was a powerful message. This dream message was poignant and focused on a specific issue even though the experience happened while the dreamer was awake. Dreaming is really a much more extensive process than most of us are aware of. If you enjoy these posts, feel free to sign on to follow the discussion.